Being at the forefront of the tire industry, Goodride delivers top-of-the-line tires for a range of different vehicle types, for every occasion. Goodride tires for commercial vehicles will keep your delivery van, 18 wheeler, and so on running at its peak. Goodride is a great choice for your commercial business because these tires are designed to keep a driver safe in any weather, on any road. Whether you’re loading equipment, working on a construction site, or doing work in a warehouse, Goodride tires provide everyone with peace of mind. 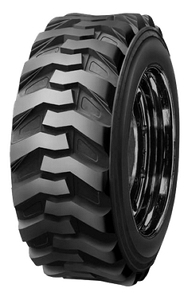 Goodride K192 tires will make your skid steer safe and comfortable. These tires work as hard as you do! They’re armed with the unique pattern design that ensures enhanced traction where you need it most. Besides, they deliver optimal handling performance and ultimate ride comfort. Goodride tires meet all safety standards and are distributed all over the world, appealing to a wider range of drivers. Millions of customers worldwide rely on Goodride tires every single day. Go with a set of Goodride K192 and see the results! I needed an optimal set of tires for work while I was on a tight budget. These turned out great. Of course they have some minor drawbacks, but in general I'm quite satisfied.